Aug 28 (Reuters) – Qatar’s government may reduce its capital spending on economic projects and infrastructure if damage to its economy from sanctions intensifies, Fitch Ratings said on Monday as it cut the country’s credit rating. Fitch lowered Qatar by one notch to AA-minus with a negative outlook. That brought it into line with the other two major rating agencies, Moody’s and Standard & Poor’s, which assess Qatar at the same level and also have negative outlooks for it. “The government has prepared scenarios for further cuts to capital spending in case oil prices fall again or in case pressures from the embargo intensify,” it said. Fitch predicted the Qatari government’s net foreign assets would fall to 146 percent of gross domestic product this year from 185 percent last year, as the government moves money into local banks to offset outflows due to the sanctions. Outflows are likely to slow in coming months because a large proportion of deposits from the Gulf Cooperation Council countries sanctioning Qatar have already been withdrawn, Fitch said. Fitch predicted Qatar’s economic growth would slow to 2.0 percent in 2017 and 1.3 percent next year, from 2.2 percent in 2016 – forecasts that are considerably more bearish than those of many private economists. The sanctions will hurt Qatar’s tourism and transport sectors in particular, Fitch said, estimating that Qatar Airways had lost about 10 percent of its passenger flow. 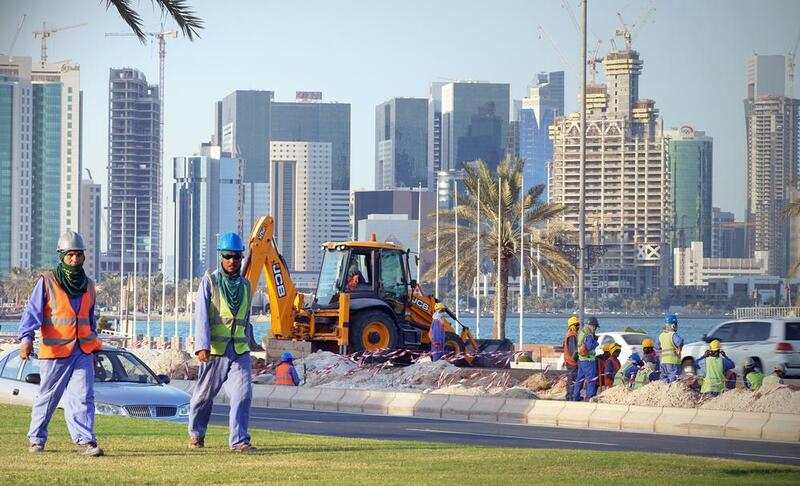 A prolonged rupture in the GCC could undermine the prospects for many of Qatar’s private sector investments, it added. Before the diplomatic rift, all six GCC countries agreed to introduce a 5 percent value-added tax next year as well as an excise tax on tobacco and sugary drinks. Fitch said it understood Qatar remained committed to those plans.